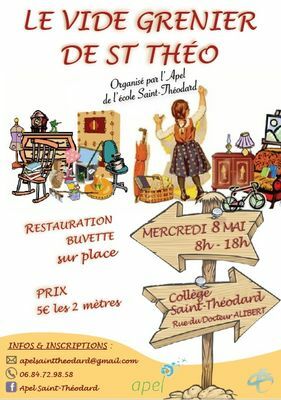 For information the association of the parents of students of Saint-Théodard organizes an empty loft in the courtyard of the college of Saint-Théodard on Wednesday, May 8, 2019 from 8:00 to 18:00. The entrance will be via the green portal next to the hospital (Dr. Alibert street). Breakfast and food on site.